I am Susan Marshall who, with my husband Ray, own and manage the Cocos Seaview Apartments here on the Cocos (Keeling) Islands. We have lived here for approximately 12 years and love the lifestyle. Certainly the ultimate Sea Change! 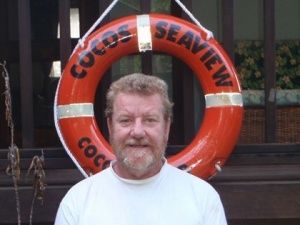 We are both honest hard working people who genuinely care about your experience at Cocos Seaview Apartments. 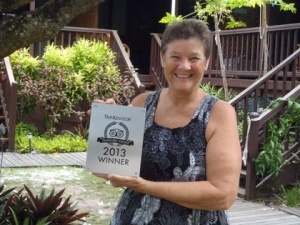 We have been awarded a number of awards for our accommodation here on the Islands. We love the outdoor and in particular fishing. 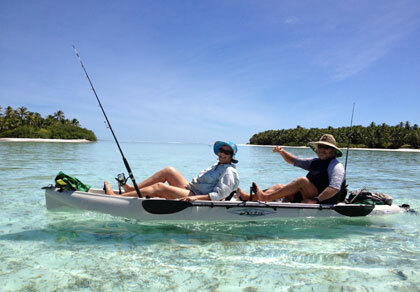 We have developed our own fishing tours over time so that now we are able to share our passion with others. Living on site gives visitors a chance to soak up local knowledge. However, we do respect your need to experience the Island for yourself.